Ben decided to remove those troublesome items. 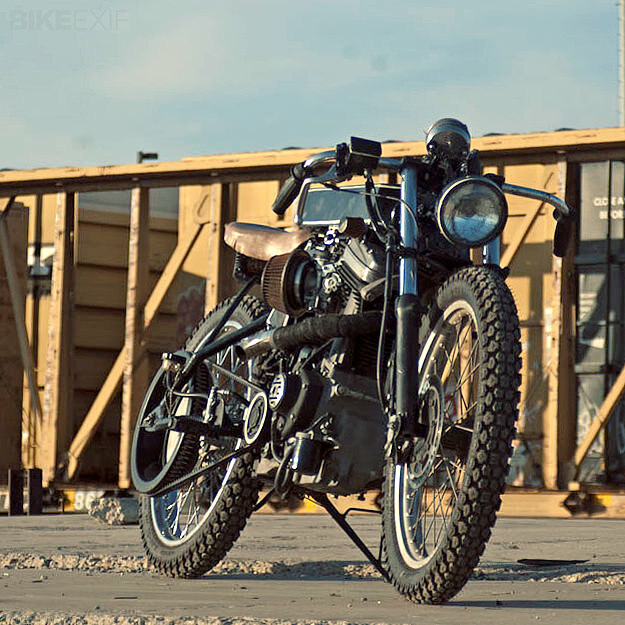 Finding himself left with just the 492cc motor and not much else, he searched around for a vintage machine with a similar configuration for inspiration. And happened upon the 1911 Excelsior, which had a 500cc de Dion single cylinder engine and also sported a belt final drive. 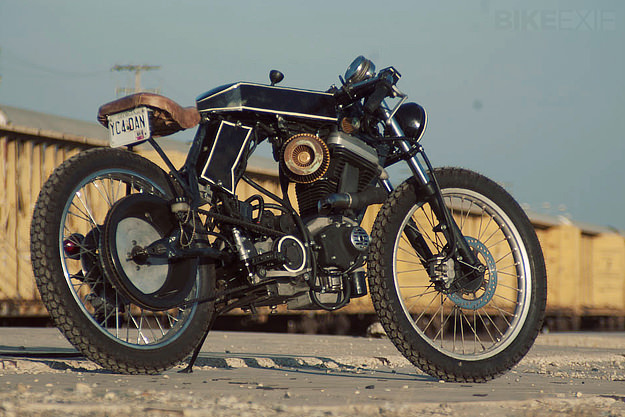 Ben started by building a new frame, and like Buell, used a section as an oil reservoir. He recycled parts of the original neck and front end, and fabricated a new rear section out of thick wall tubing—making the mounts and brackets from leftover metal. 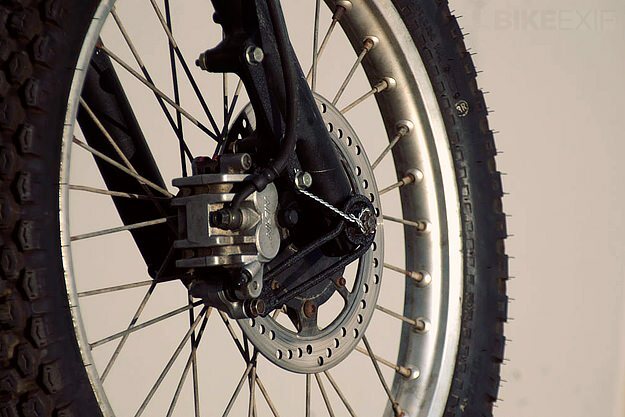 A Harley-Davidson 21” front rim was adapted to fit the stock rear pulley, and the front 21” wheel was sourced from a wrecked CR125. Because the hardtail frame and the tall, narrow stance didn’t feel dangerous enough, Ben added a hand shifter and suicide clutch. 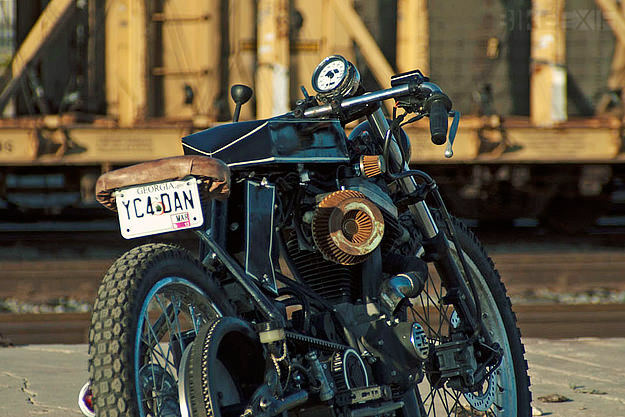 Footpegs were sourced from an old Schwinn bicycle, but Ben made the tank and electrical box himself from raw steel. The OEM battery was ditched for an 8-cell lithium unit, but the stock Buell speedo was kept. 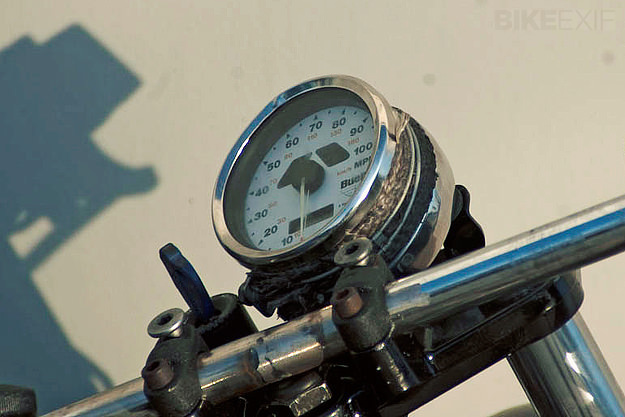 The gauge has an old-school look to it despite the plastic housing, so Ben popped it into a modified Honda CB housing. The seat sits on a custom fiberglass pan, with foam from an old Ninja 250 seat and artificially aged vinyl. The headlight is the spotlight from a Crown Victoria police interceptor, and the tail light is a halogen outdoor spotlight machined to fit an old trailer lens.